From casting and music production through to lighting scripts to screen content, we work closely with our clients to produce stunning results for events across the UK and around the globe. 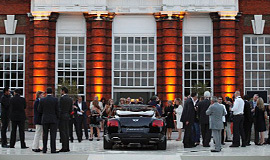 Whether it be corporate events, live action performances, TV appearances, fashion shows or corporate entertainment, our creative yet enterprising approach has given us the opportunity to create some highly prestigious shows, including events with UK royalty at Kensington Palace. Creative direction, choreography, styling, hair and make-up. Working closely alongside Philip Treacy on this prestigious fashion show for Royalty to launch the latest exclusive Bentley motor car, this fashion event featured Philip’s exclusively-designed and beautiful hats in the performance. Creative direction, stilt walkers, aerial and ground-based acts. We are proud to have been involved in the production of the closing party for Locog, for the London 2012 Olympic Games. A fantastic evening, perfect for rounding off a successful home-grown games. Creative direction, choreography, styling, models, visuals and lighting. We have been involved in the production of the Alternative Hair Shows for over a decade, for clients in the USA, Japan, Australia, France, Las Vegas, Chicago, Russia (the Kremlin Palace) and the Royal Albert Hall, London. Choreography, staging, lighting, catwalk models, hair and make-up. Full creative direction and production co-ordination made this an exciting evening for us. From building the stage to supplying the lighting, as well as supplying dancers, models, hair and make-up; the whole evening ran perfectly. Choreography, staging, lighting, Brazilian dancers, hair and make-up. 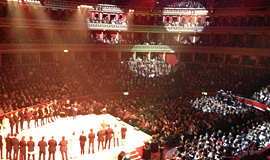 United were given free reign on the creative direction and staging of this ceremony, including working with the lighting technicians to set the scene. A memorable event where we entertained the guests with Brazilian dancers and provided styling, hair and make-up to bring it all together. Styling, models, hair and make-up. We were excited to be asked to provide creative direction for the renowned FHM Magazine party. We entertained guests with dancers, aerial acts and we even styled some of our clients for the evening with their hair and make-up! 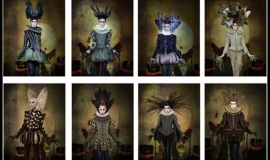 Creative direction, choreography, lighting, cirque acts, styling, hair and make-up. 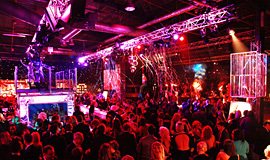 We had a busy 2013 entertaining major UK and international brands with parties and corporate events. 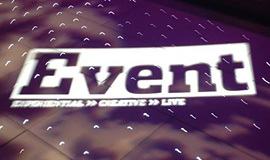 With full creative direction we worked on a series of shows running throughout December with 500 to 2300 guests. 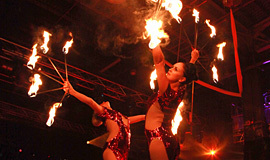 We supplied amazing cirque acts and stunning dance performances, plus hair, make-up and styling. 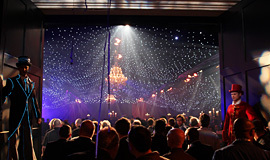 We also worked closely with the lighting technicians to ensure a glittering performance. In conjunction with More magazine, we also hold the Guinness World Record for the longest ever Marathon Catwalk Show, co-ordinating over 100 models and a team of United dancers. The awards event was presented by Jonathan Ross and included collections from 24 high street retailers, featuring over 500 outfits, shoes and accessories from River Island, Dune, Miss Selfridge, Top Shop, ASOS and more. We also produced a continuous 10-hour fashion show for More magazine, undertaking choreography, staging, dancers and dressers – an exhausting day but a World Record doesn’t come easy!